We are excited for our friends at Prophetik and our fine neighbors Hud Luxe....sponsoring Starry Knight - a benefit for the Hands and Feet Project! "Starry Knight: In a time of busyness we lose ourselves in conformity overlooking the details that exude our individualism... 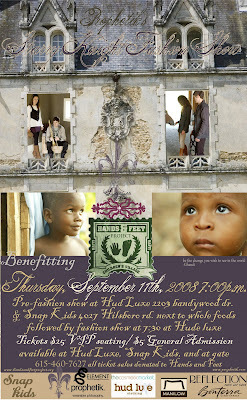 Escape the mundane and partake in a night of organic wine, organic appetizers, and a sustainable fashion show all benefitting a greater good....."
Fashion! Wine! Greater Purpose! What could be better!!!???!?!?! ?